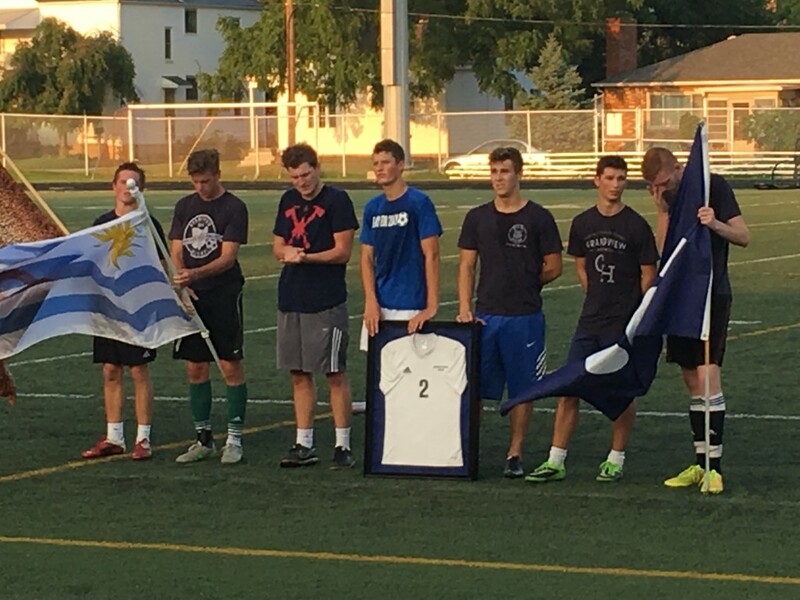 It is my honor today to announce that Grandview Heights High School is retiring the #2 Jersey, which was last worn by the beloved teammate Colin Jourdan during the 2014 “dream team” season. 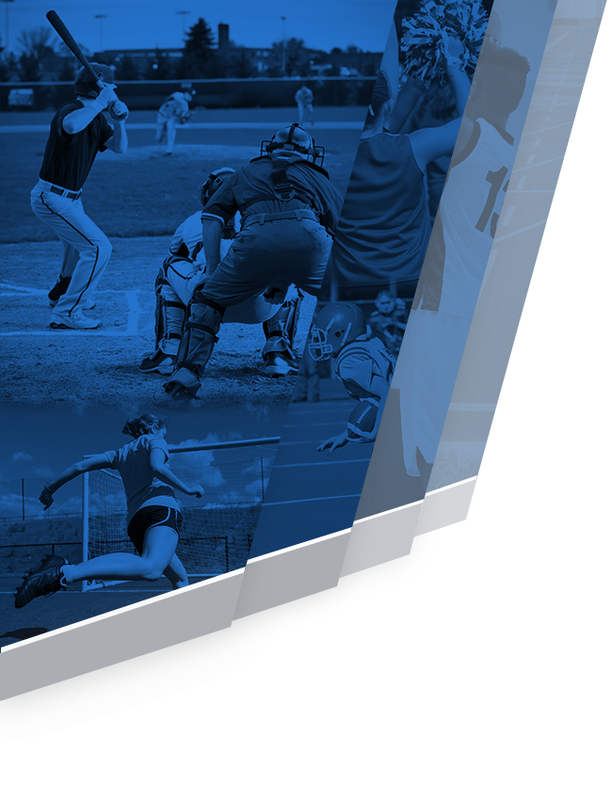 Sports teams retire jersey numbers of players who are considered by the team to have had extraordinary talent, made significant contributions to that team’s success, and who have sometimes experienced an untimely death. In the case of #2, Colin Jourdan, it meets all of these criteria. 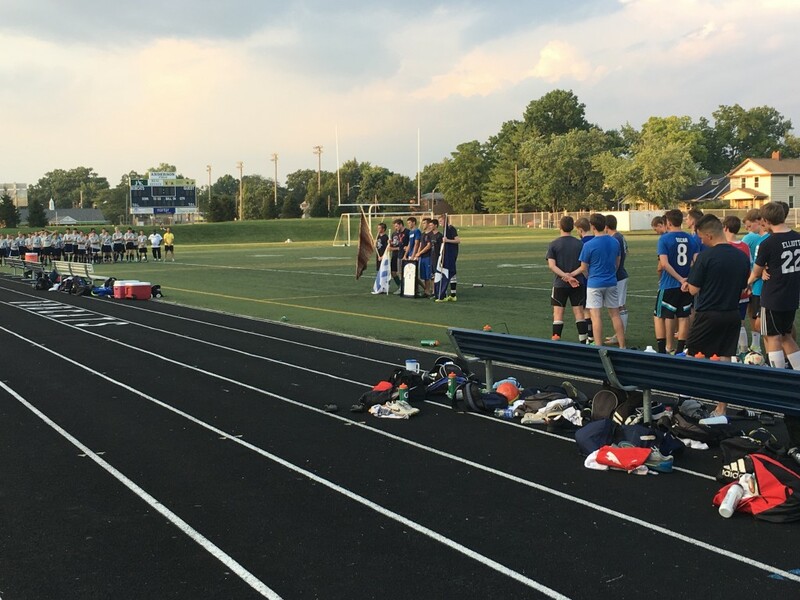 Colin Jourdan passed away in 2015, just shy of a year after Grandview Heights High School’s most successful boys soccer season. He is greatly missed by everyone in our community, and always remembered for having so many amazing talents including woodworking, photography and soccer. 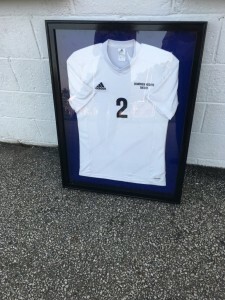 Today, our focus is on Colin’s contributions to the Grandview Heights High School dream team soccer season of 2014, as well as the other 3 seasons he played for Grandview. 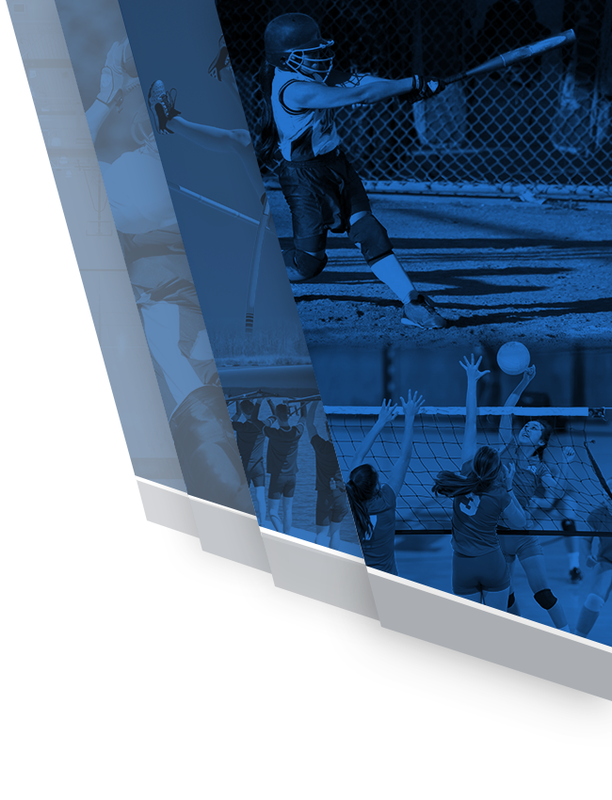 The 2014 season was the furthest state playoff run of any sports team in Grandview’s history. They finished the season 18-3-2, and Colin, a forward, contributed 10 goals to this amazing season. He scored 11 goals his junior year. He was named second-team all-league both his junior and his senior year. His senior year, he helped lead a team that had a post-season run that included one overtime game, one double-overtime game, and two shootouts. Colin played through the regional final without realizing he had a broken arm. Wearing the cast in the state final, one of the most memorable moments of the 2014 season was the goal that Colin scored in the state final, with 10:41 left in the second half. His goal brought Grandview one goal closer to the 3-3 tie before overtime. 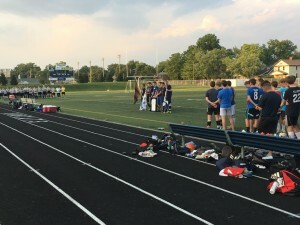 When Colin was interviewed after the state championship game, the reporter said that Colin began to cry when he spoke about his teammates and what they meant to one another. A true winner on and off the field, Colin was part of group of soccer players who were referred to as “the lads”. Colin’s high school coach, Brian Neidenthal, said you wouldn’t find a finer teammate than Colin Jourdan. In closing by recognizing Colin with the retirement of his #2 jersey, may his spirit inspire students and athletes for years to come.